The Israeli embassy has already called upon the Russian government to take measures against displays of anti-Semitism and xenophobia. Israeli diplomats said that the letter that was published in the newspaper was a classic example of anti-Semitism. “The theses of the address were used by the Nazi regime to substantiate the massive elimination of Jews during WWII. We are very sorry about the fact that the publication appeared on the eve of the 60th anniversary of the Victory Day, when the world was liberated from atrocities of Nazism,” Israeli officials said. “One should not allow such statements to appear in the country that defeated Nazism and paid a monstrous price for the victory,” they added. According to Israeli diplomats, Russian law-enforcement agencies should take measures against the authors of the address, for it was nothing but an attempt to incite national strife. Israeli Foreign Minister Silvan Shalom said in an interview with an Israeli radio station that the Israel government would never allow any organization or country to live with similar statements. “Politicians all over the world call upon everyone to stand up against anti-Semitic incidents in any part of the globe. To my great disappointment, such incidents have become rather frequent recently, but we must fight anti-Semitism, no matter where it might occur,” the minister stated. 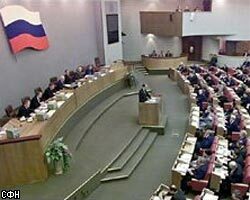 It is noteworthy that a secretary of State Duma deputy Alexander Krutov said that the statement which was published in the Orthodox Russ newspaper, had been withdrawn. A lot of experts, however, say that the story with the publication in the press was a previously planned provocative action. The Jewish issue, however, became a subject of discussions not only in Russia, but in the West too, taking into account the upcoming anniversary of 60 years since the liberation of Auschwitz prisoners. Deputy Andrei Saveliev stated that he still shared the views of those people, who signed the address. The statement, the deputy said, was prepared by a group of citizens, and it was supposed to be submitted to the Prosecutor General. “The publication of the address in the newspaper was not authorized,” Saveliev said. Russia's chief rabbi Berl Lazar stated that either the people, who signed the documents, were psychologically inadequate individuals, or they were perfectly aware of the fact that their statements were false, but they decided to play the game for the sake of political profit. Alla Gerber, the president of the Holocaust Fund, was rather emphatic in her comments too: “I can say either one word on the matter, but I'd rather not to for ethical reasons, or a hundred words.” Several Russian organizations sent a letter to the Prosecutor General Vladimir Ustinov and President Putin with a request to crack down on Neonazis.